Do you really think Congress will enact the Representatives of congress have introduced the ‘Safe Cosmetics and Personal Care Products Act’, which they propose will close major loopholes in the federal law that currently allows companies to use ingredients in cosmetics known to damage human health and the environment. new laws which allows the financially stressed Food and Drug Administration (FDA) to really regulate the multibillion dollar cosmetic ingredients industry? As far back as 1978 when I wrote the first editions of A Consumer’s Dictionary of Cosmetic Ingredients and A Consumer’s Dictionary of Food Additives, all the sensible regulations that should be enacted were described. In the Seventh Editions, 2009 and 2010 some states had enacted a few regulations California and New York were interested in the quality of cosmetic aerosols. Massachusetts opted to ban the sale of cosmetics tested on animals. Oregon insisted on the use of recycled plastic resin in cosmetic bottles. A consumer group, As You Sow, filed a lawsuit in California to require a warning under the state’s Proposition 65 concerning nail polish primarily because of the solvent toluene. California requires notification of products containing cancer causing agents or reproductive toxins which cause birth defects A proposal to preempt state regulation of cosmetics emerged as a major sticking point in a long delayed effort to revamp the Food and Drug Amin station in1997 The late Senator Kennedy (D-MA) fought for states’ rights to regulate cosmetics and won. The senator had no further interest in cosmetic regulatory legislation, according to his office when contacted in 2003. EPA’s (US. Environmental Protection Agency) reviews of new chemicals provide limited assurance that health and environmental risks are identified before the chemicals enter commerce. Chemical companies are not required by the US Toxic Control Substance Act (TSCA), absent a test rule, to test new chemicals before they are submitted for EPA’s review, and companies generally do not voluntarily perform such testing. Given limited test data, EPA predicts new chemicals’ toxicity by using models that compare the new chemicals with chemicals of similar molecular structures that have previously been tested. However, the use of the models does not ensure that chemicals’ risks are fully assessed before they enter commerce because the models are not always accurate in predicting chemical properties and toxicity, especially in connection with general health effects. Drug and medical device manufacturers must receive advance approval from the U.S. Food and Drug Administration (“FDA”) before marketing their products to the public but it is up to each cosmetic company to substantiate the safety of their products before they go to market. Despite the cosmetics industry having experienced significant change with the inclusion of more complex ingredients in products, FDA’s authority to regulate cosmetics has not changed in decades. Several bills have been introduced in Congress to change that, but cosmetics reform remains uncertain. You may find it hard to believe that the proposed regulations in the bills described below are not nor have they been enforced. Since 1938, FDA has regulated the safety and effectiveness of cosmetic products through the Federal Food, Drug, and Cosmetic Act (“FFDCA”), as amended, and its implementing regulations. Under the FFDCA, the term “cosmetic” is broadly defined as articles intended to be rubbed, poured, sprinkled, or sprayed on, introduced into, or otherwise applied to the human body or any part thereof for cleansing, beautifying, promoting attractiveness, or altering appearance, and articles intended for use as a component of any such articles; except that such term shall not include soap.” Common examples of cosmetics include makeup, face and body lotions, nail polishes, shampoos and conditioners, some toothpastes, mouthwashes, deodorants, perfumes, and baby powders. Cosmetics are regulated relatively lightly in comparison to other products FDA regulates. FDA has adopted regulations for the voluntary registration of cosmetics product establishments and disclosure of ingredients in cosmetics through FDA’s Voluntary Cosmetic Registration Program (“VCRP”). However, currently only about a third of cosmetics companies participate in VCRP. Additionally, the FFDCA does not subject cosmetics products to advance approval by FDA prior to their introduction into the marketplace, nor does it authorize FDA to require affirmative proof from a manufacturer that any cosmetic or ingredient is safe. However, the FFDCA does allow FDA to take action to remove cosmetic products deemed adulterated or misbranded from the marketplace. In general, cosmetics manufacturers, and not FDA, are responsible for ensuring that the safety of their products is “adequately substantiated.” The industry standard for substantiation is through an independent, industry-funded, ingredient safety assessment conducted by the Cosmetic Ingredient Review (“CIR”). Founded in 1976, CIR is an independent expert panel that assesses the safety of ingredients in cosmetics and publishes the results in peer-reviewed scientific literature. Ingredients reviewed by CIR are generally considered by FDA to meet the adequate substantiation requirement. In sum, the current regulatory framework for cosmetics consists of industry-initiated reviews as well as voluntary reporting. Some states have acted to supplement this limited federal regulation of cosmetics by passing their own more restrictive legislation. 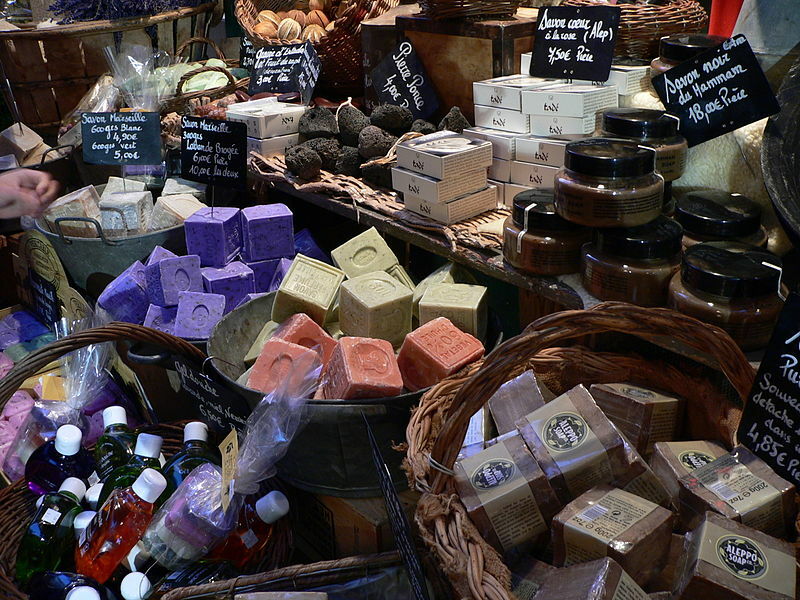 California enacted the California Safe Cosmetics Act of 2005 (“CSCA”), requiring manufacturers to tell state officials about cosmetics that “contain any ingredient that is a chemical identified as causing cancer or reproductive toxicity,” including chemicals used for fragrance or flavoring, regardless of the concentration of the chemical. CSCA grants authority to the state’s Safe Cosmetics Program to conduct audits, investigations, and health-based studies. It also requires manufacturers to submit any additional information on their products as deemed necessary by the program for conducting these assessments. Other states have followed California in passing more restrictive legislation as well. In 2008, Washington passed the Children’s Safe Products Act. It directs the Department of Ecology to require manufacturers of children’s products, specifically including children’s cosmetics, to generate reports about their products containing “high priority” chemicals. In 2009, Minnesota adopted the Toxic Free Kids Act, which directs the Minnesota Department of Health (“MDH”) to create two lists of chemicals, i.e., “chemicals of high concern” and “priority chemicals” present in children’s products, a term which specifically includes personal care products (i.e., cosmetics). Establishment Registration — Domestic and foreign establishments that manufacture, package, or distribute cosmetics would have to register annually with FDA. Registration requirements would include the submission of general information about the establishment and its cosmetic products. FDA would be required to make the registration list publicly available, but registration documents would not be disclosed. Full Ingredient Disclosure — Within one year of enactment, labels on each package of cosmetics would be required to bear a declaration of the name of each ingredient in descending order of prominence, regardless of trade secret claims. Internet vendors of cosmetics would also be required to display product ingredient lists on their websites. Current law does not require complete ingredient disclosure for cosmetic products. Submission of Publicly Available Test Data — Within one year of enactment, manufacturers and distributors of cosmetics and cosmetic ingredients would be required to submit to FDA (in electronic format) all reasonably available information in the possession or control of the manufacturer or distributor that has not previously been submitted to FDA regarding the physical, chemical, and toxicological properties of the chemicals listed on the cosmetic labels. Ingredient Listing and Safety Assessments — Within two years of enactment, FDA would have to issue a list of ingredients identified by FDA as either “prohibited,” “restricted,” or “safe without limits.” Prohibited ingredients would include those which FDA determines are unsafe for use in cosmetics in any amount, while restricted ingredients would be those which must be limited in use or concentration to ensure safety. FDA would also have to develop a “priority assessment list” of not less than 300 ingredients for which a lack of authoritative information precludes FDA from designating the ingredient as prohibited, restricted or safe without limits. FDA would then have to make safety determinations pursuant to administrative rulemaking procedures (i.e., providing public notice and comment) for the ingredients on the assessment list, and would have to continue to add at least 100 ingredients to the list each year until all ingredients used in cosmetic products have been added to the assessment list, the safe without limits list, or the prohibited and restricted list. Notification and Recall of Adulterated or Misbranded Cosmetics — The bill would require responsible parties to notify FDA if they have reason to believe that a cosmetic is adulterated or misbranded in a manner that presents a reasonable probability that the use or exposure to the cosmetic “will cause a threat of serious adverse health consequences or death to humans.” Depending on the circumstances, FDA would have authority to request a voluntary recall, issue an order for the company to cease distribution, or issue an emergency recall order. Mandatory Reporting of Adverse Health Effects — The bill would require cosmetic manufacturers, packagers, or distributors to report any information they receive concerning serious adverse health effects associated with the use of their cosmetics. Fees — The bill would require FDA to establish a schedule of fees “to provide for oversight and enforcement” of the new cosmetic regulations. Fees would be prorated based on each establishment’s gross receipts or sales, and would only be assessed on companies with annual gross receipts or sales of more than $1,000,000. The Obama Administration, in 2012, proposed its own reforms for cosmetic regulation. Similar to the FDA registration program for drug manufacturers, the Administration proposed legislation authorizing a cosmetic manufacturers’ user fee to help fund the establishment of a mandatory cosmetic registration program. A mandatory cosmetic registration program would require cosmetics companies to register their products by submitting product, ingredient, and facility information to FDA, essentially making the voluntary registration mandatory. The information and data acquired from the mandatory cosmetic registration program would also enable FDA to better develop cosmetic regulations and monitoring approaches of cosmetic products. Establishment Registration — The bill would require cosmetics companies to register with FDA and disclose where a product is made, all brand names of the product, the product category, and ingredients contained in the product. Since the first edition of The Dictionary of Cosmetic Ingredient, I pointed out that anyone could go into the cosmetic business even if they made a mixture of their kitchen stove. A new cosmetic “Cosmetic manufacturer” did not have to register with the FDA nor report adverse effects of their product. There was no tracking of reported problems. In the current edition of Consumer’s Dictionary of Cosmetic Ingredients I noted that it is now up to the manufacturer to inform the FDA whether a product was Generally Recognized As Safe (GRAS). Good Manufacturing Practices — The bill would require FDA to promulgate mandatory good manufacturing practice (“GMP”) regulations, and to review international GMPs for cosmetics. Fees — The bill would require cosmetics companies to pay an annual fee of $500 beginning 2013. Fees for 2014 and years following would be set according to a formula contained in the bill. Mandatory Recall — The bill would authorize FDA to request that a company voluntarily recall products the agency believes will have “serious adverse health consequences.” If the company fails to do so, FDA would have the authority to recall such products on its own. Trade Secret Protections — The bill would authorize FDA to accept CIR’s determination on safety substantiation of cosmetics ingredients. However, the bill provides that CIR’s determination does not apply to companies that have demonstrated the safety of their ingredients and have provided that substantiation as confidential business information to FDA. The CIR Panel was established in the former name of Personal Care Products Council, The Cosmetic, Toiletry and Fragrance Association in 1976.The CIR Expert Panel reviews in a public forum the safety of relatively few ingredients each year. The Panel makes its decisions about a cosmetic ingredient mostly by reading literature, and then makes its findings public. Will the efforts of interested consumer organizations and some responsive legislators improve safety in the cosmetic industry? Probably not. None of the proposals have, at this writing, made it out of committee. Rep. Lance had hoped to include his cosmetics reform bill within the House version of an earlier FDA user-fee bill, but his provisions were not accepted during the House Energy and Commerce Committee mark-up of the bill. What about the big lies cosmetic companies promote such as reversing skin aging? Well, that’s another story.